Are you ready to get into a quality, luxury vehicle? Visit us here at Safford Alfa Romeo of Tysons Corner. We have the vehicle that you’re looking for right here within our inventory. 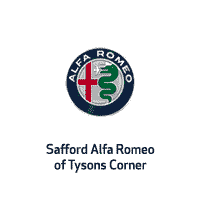 Located just a short drive outside of Washington DC, Safford Alfa Romeo of Tysons Corner is the area’s premier Alfa Romeo dealership. Why settle for less when you can experience the best? Come into our studio and experience the 100 years of history, passion, and elegance that is Alfa Romeo. Explore track-ready vehicles like the 4C and Quadrifoglio, or slip into one of the luxurious Giulia or Stelvio models. Our friendly staff is here to ensure that your experience is nothing short of stellar.